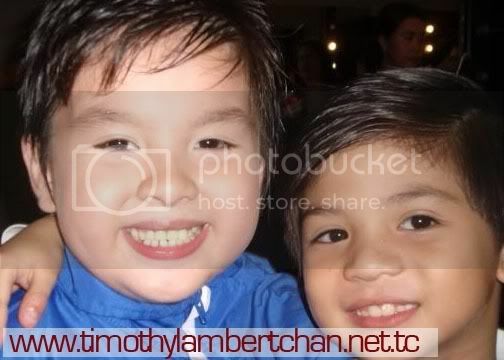 Timothy Lambert Chan as Rico R. Rodrigo/Policarpio - Enrique and Malena's son and half-sister to Stella. He now starts being friends with Santino after seeing Santino's goodsight, although he doesn't know that they are half-brothers. May Bukas Pa (literal meaning of "There Is Still Tomorrow", which actually means "There Is Still Hope") is a Philippine drama series which started airing on February 2, 2009 at ABS-CBN. It is loosely based on the 1955 Spanish film The Miracle of Marcelino (Marcelino Pan y Vino). Timothy Lambert Chan, a cute six-year-old, has been cast in Palos, The story begins when Giancarlo is orphaned at a young age when his mother, Grazella, is killed in a shooting incident in Macau. He blames his mother's death on an agent known only as "Palos", and vows to do whatever it takes to avenge her death. The young orphan is taken in by his mother's friend, Alessandro, who later helps him join a secret agency known as "Neptune". The young Giancarlo, driven by his thirst for revenge, trains hard and uses every opportunity to hone his skills. Eventually, he emerges as one of the top agents of Neptune, and feels he is ready to fulfill his life's mission: avenge his mother's murder. But in his quest to find Palos, Giancarlo finds long-buried secrets... secrets about his mother's death, about Neptune, and about his own identity. 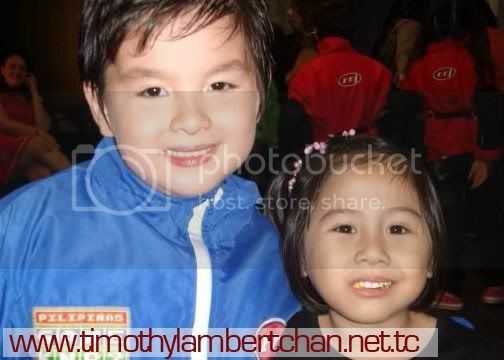 Timothy Lambert Chan, a cute six-year-old, has already been cast in two movies. Seven-year-old Jacie Gwyne Odiver, seven years old, is now a commercial model. Eleven-year-old Ma. Nicole Jeremiah Dulalia is already a cast member in GMA 7 shows while both Byron Spark Ortile and Joshua Cadelina are familiar faces on television. What do all of them have in common? 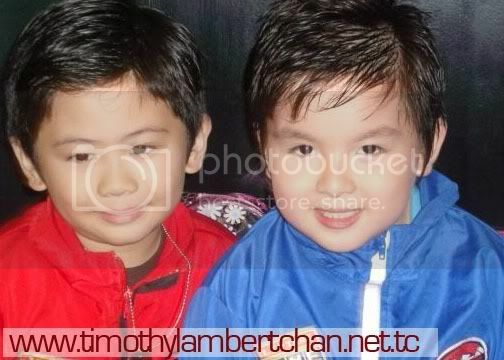 Aside from their talents and stage presence, they are all past winners in the Ever Kiddie Stars competition. The Ever Kiddie Stars, started in 2004, is a competition in search for the next image models of Ever Gotesco Malls. This is an institutional campaign encouraging kids aged four to seven years old to shine with their exceptional talents on singing, dancing and acting. Through the years, Ever Kiddie Stars has been paving the way for its winners to become kiddie celebrities too. In fact, the competition has created a stepping stone to the success of some of the industryÃ¯Â¿Â½s biggest child stars at the moment. SM SUPERMALLS recently launched this year's SM Little Star pageant for cute, adorable, talented, and lovable kids. The ongoing pageant, which is open to kids aged four to six years old, drew 5,000 applicants at all SM malls nationwide. With the selection process ongoing, there's a lot of excitement about the Grand Finals on June 22, 2008. And why not? Great prizes are at stake for the two Grand Prize winners -- a boy and a girl -- who will each receive a P10,000 BDO cash card, P10,000 worth of gift certificates from Toy Kingdom, P10,000 worth of gift certificates from Storyland and a training scholarship from the Center of Pop Music Philippines. The first and second runners-up will each receive P5,000 and P3,000 of BDO Cash Cards and training scholarships from the Center of Pop Music Philippines as well as gift certificates from SM Department Store, Toy Kingdom and Storyland. More than that, they will have the opportunity to meet friends, gain more confidence, develop their personalities and talents and hopefully begin a modeling or showbiz career. If last year's winners are any indication, they have a lot to look forward to. Here, last year's winners Knch Lynn Cabillo and Andres Roberto Tagle as well as runners-up Angel Norika Asakawa, Timothy Lambert Chan, Cassandra Venuti and Joachim Renato Gabayeron shared with us what it means to be an SM Little Star. Last year's grand prizewinner Knch Lynn Cabillo from SM City Cebu says she "gained a lot of confidence when I joined the contest. I also made many friends from all over the Philippines." Like any little girl, Knch was thrilled about the prizes she received -- the toys from Toy Kingdom, shopping money from BDO and the training in the Center of Pop Music. She remains grounded and sensible despite all the fanfare and looks forward to someday becoming "a chef with a big kitchen like my grandmother." Knch's partner Andre Roberto Tagle who represented SM City Cagayan de Oro looks forward to coming back to Manila for the Grand Finals. "I made many friends and want to meet them again," he says, adding that second runner-up Joachim Gabayeron of Cebu became his best buddy. Andre watched the screening of this year's SM Little Star at SM City CDO and was very happy when he was acknowledged the Grand Prize winner. "I watched everyday because SM is very near our place," he says. First runner-up Angel Norika Asakawa from SM City Clark was a hit when she sang Isang Lahi ala Regine Velasquez, impressing the audience with her wit and performance. Apart from making a lot of friends, "I learned dance steps during our training and enjoyed singing and dancing. I will always remember being an SM Little Star." Timothy Lambert Chan, Angel's co-first runner-up, so impressed the judges with his Papaya Dance during the Grand Finals that he has had modeling and showbiz stints. He now plays Franco in the ABS-CBN soap opera Palos and was the son of Judy Ann Santos in the film Sakal, Sakali, Saklolo. He has also modeled for Lucky Me and Promil. Not bad, considering that prior to joining, he was rather shy. Now, singing, dancing and acting are second nature to Timothy. Second runner-up Cassandra Venutti of SM City Davao impressed the crowd with her rendition of Over the Rainbow during the Grand Finals. Of Filipino-Swiss descent, Cassey as she is called, also made a lot of friends during the pageant. "I miss my friends, I miss the rehearsals," she says. "I am happy that for awhile, I had so many friends from many different places." Cassey's partner Joachim Renato Gabayeron from SM City Cebu joined the contest because he wanted to spend more time at the mall and make more friends. During the competition, he overcame his shyness and learned to perform before a lot of people. Since then, he has attended a workshop with Audie Gemora, which culminated in a recital. Not bad for a contest first timer. Who will be the next SM Little Star? The verdict will be in the Grand Finals on June 22, 2008. Criteria for judging include 50 percent star quality, 30 percent for personality and 20 percent for talent. The SM Little Star competition is one of the many exciting events at the SM Supermalls.